A PROMINENT Tweed criminal lawyer has slammed NSW police roadside tests which measure the presence of cannabis, MDMA and methylamphetamine in saliva. Solicitor Carl Edwards claimed those caught by the tests, which check for a minuscule presence of the drugs, were not always “under the influence” of the drug when they returned a positive reading. Mr Edwards said the penalties of a driver disqualification and recorded conviction were “too harsh” for a first offence, with positive readings possible through passive inhalation in the case of cannabis. 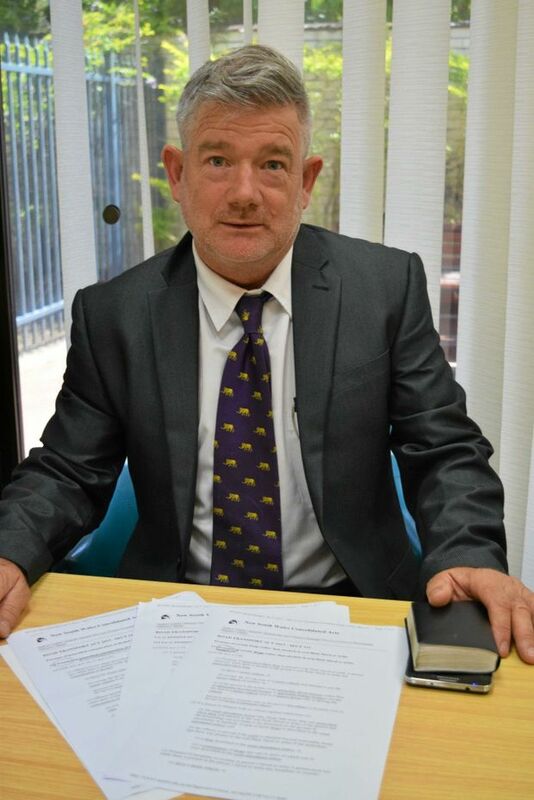 “All you need is the mere presence of the drug and you have all the consequences, even though you don’t have to be under the influence and your driving may not be affected,” Mr Edwards said. Mr Edwards said three of his clients were currently appealing their convictions and he predicted the number of challengers of the test to rise. He said the number of offenders at Tweed Local Court had “tripled” compared to last year. “I’m not trying to be a legislator but all I can see is this is going to clog up the courts, with huge numbers of people that we’re already seeing,” Mr Edwards said. According the NSW Traffic and Highway Patrol Command this year, one in three saliva test have returned a positive reading, compared to one in 300 alcohol tests. Releasing FOI documents to the Tweed Daily News, NSW Greens MP David Shoebridge said the test kits cost taxpayers $6m over four years (to 2018) but there was no evidence to prove they prevented crashes. “The tests have nothing to do with driver impairment,” Mr Shoebridge said. Mr Shoebridge said the current tests were “unsophisticated” and NSW should instead use empirical evidence gathered by the UK Parliament to design tests which looked at specific levels of drugs, including prescription medication, and their impact on driving. But NSW Random Drug Testing Unit Inspector Stephen Blair said the tests best reflected community expectations. “Every person’s metabolism is different but we’re not saying you’re affected while driving,” Insp Blair said. He said 14% of fatal car collisions involved one or more of the drugs being tested. Insp Blair said positive results remained static on the Tweed, with between 35 and 41 positives recorded each month since July. He said he’d like to see those figures drop.